We have all received emails from foreign “dignitaries” who need our help transferring millions of dollars into the US. Or we get an email from a “relative” who was robbed while on vacation and needs money to get back home. These are easy to spot as frauds. But now hackers are getting more sophisticated. 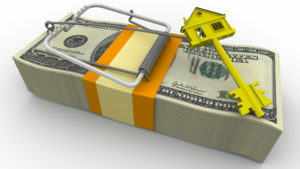 They are going after the large amounts of money involved in real estate transactions. And they are succeeding. The hackers get into the email of a party involved in the transaction – buyer, seller, Realtor, lender, title company or others. It doesn’t matter which party had their email originally hacked. Once they are inside the email of one party, they can see all of the emails of everyone else involved and start to mimic their style. Once they see that a home has gone under contract, they monitor the email traffic up to the closing date. Shortly before closing, they send an email to the buyer that appears to come from the title company. In that email, they tell the buyer where to wire the money needed for closing. Of course, it is a fraudulent account and once the money is sent, it disappears through a maze of computers and offshore accounts. On the seller side, they also monitor email traffic and the day after settlement, they sent an email to the title company appearing to originate from the seller. The email directs the title company to wire proceeds to a different account. Once again, if sent, it is gone. Perhaps in this instance, the seller may have some recourse against the title company for not doing it’s due diligence but who wants to get into that legal battle? This is happening with more and more frequency. *A recent Washington Post article mentions how a local couple had $1.57 million of their settlement proceeds transferred to a fraudulent account. *That same article mentions a Denver couple that wanted to use $272,536 from the sale of their old home to buy their new home. Somehow it it disappeared never to be recovered. *A CNBC report mentioned how a San Antonio buyer almost lost $52,660. She responded to a fraudulent email and wired the money to a false account but luckily for her, the real title company at the same time sent her an email with the real instructions and she realized her mistake. Since she was able to act within minutes on the fraudulent transfer, she was able to stop it. But just hours later and it would be gone. In that same report, the head of the FBI’s money laundering unit states that once sent the chances of recovery are slim. *Personally, I had a settlement last year where I was on the listing side and after settlement, the title company called me to ask if I had sent an email to them with new wiring instructions for the sellers. Of course, I had not. *And I had a client from Alaska who told me of a friend of theirs who lost more than $100,000. They were going to use it on the purchase of home in Portland. They never saw it again. This Alaskan client of mine is involved in law enforcement and he also said that the chances of recovery are slim and none. What should a consumer do? Most importantly, if you receive any wire instruction in an email, call the real recipient to verify the account number before initiating the wire. Title companies are happy to receive these calls. I know that I will never give account numbers for wire instructions thru an email. I may say you will need to bring $x to settlement and you can do that via certified check or wire but I will never give an account number. I always tell clients to call the title company directly for account numbers. Sellers should provide copies of deposit slips or voided checks to title companies to help verify legitimacy. I know of several title companies that will not accept wire instructions from sellers unless done in person. That may be an inconvenience for some sellers who are already out of town but please accept their policy. It is for the protection of all. Having to wait a few days for check to be overnighted is much better than running the risk of losing all of having all of your proceeds delivered to the accounts of scammers. 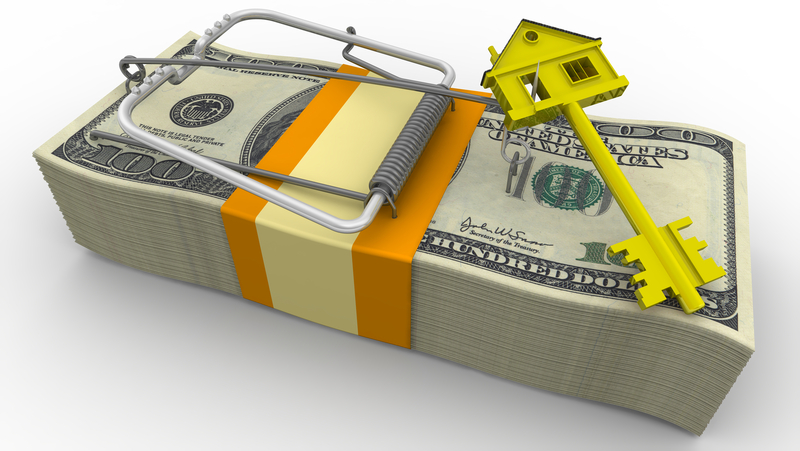 The money flowing through a real estate transaction is always rather large and makes a perfect target for hackers. Stay alert.